the guardian of my life. to God who always does what is good for me. Out of heaven my rescue comes. and goes after whatever tries to run over me. 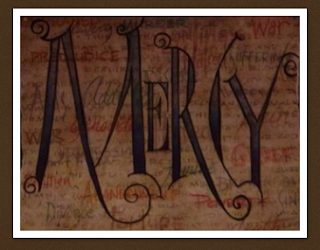 I love the word mercy. toward those who deserve something else. and the ultimate price He paid to express that love. It is all about Who He is. "May Your mercy come to me, God. You are the Guardian of my life. I am safe in the shade of Your wings. You always do what is good for me." called "Lord Have Mercy" that echoes this psalm. My cry today is "Lord have mercy."